The NSF is an independent federal agency created by Congress in 1950 to promote the progress of science and research knowledge in the United States. Since the inception in the early 2000s of the Racial Democracy, Crime and Justice Network (RDCJN), its activities have been supported by grants from NSF’s Sociology and Law and Social Sciences’ programs, including the following: SES-0531536, SES-0731473, SES-0925068, and SES-1229098. The Network is especially indebted to Dr. Patricia White, Program Director of Sociology. Early on, Dr. White recognized the potential of our vision for broadening participation. She has been joined in her support by other Sociology Directors, and by a series of Law and Social Sciences’ Program Directors, most recently Dr. Susan Sterett. 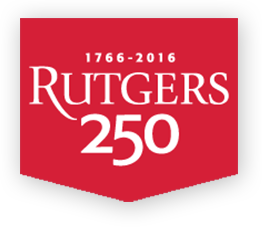 Rutgers School of Criminal Justice was founded almost forty years ago, and ever since opening its doors, the school has been recognized among the leading programs in the field. Over the years, Rutgers School of Criminal Justice’s faculty have made significant contributions to criminal justice policy and criminological theory, and the school’s graduates have taken their places among the most productive and well-respected scholars in the field. Today, studies show that Rutgers School of Criminal Justice continues to rank among the top criminal justice programs, nationwide, with special regard to the school’s graduate programs. Beyond NSF and Rutgers, a number of Universities have generously sponsored their own graduate students’ attendance at the Annual RDCJN Workshops, including: Arizona State University’s School of Social Transformation, University of Florida’s Department of Sociology and Criminology & Law, California Lutheran University, University of Missouri – St. Louis, University of Texas – Arlington, Michigan State University, Indiana University – Bloomington, and University of Washington’s Department of Sociology. Finally, Faculty throughout the United States have given their time and energy to serve as project reviewers or mentors for young scholars participating in the RDCJN’s summer institute.